Summer is the time of year for barbeques and cookouts. Although, not paying enough attention to food safety can quickly turn a fun summer gathering into a food poisoning fiasco. 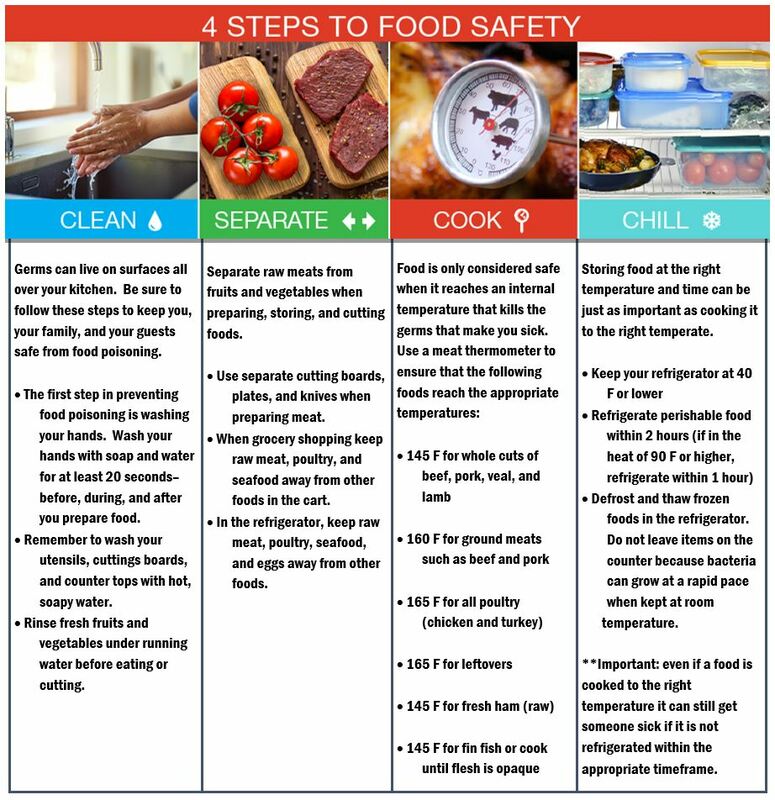 Be sure to follow these 4 easy steps to food safety to ensure that your summer festivities go off without a hitch!